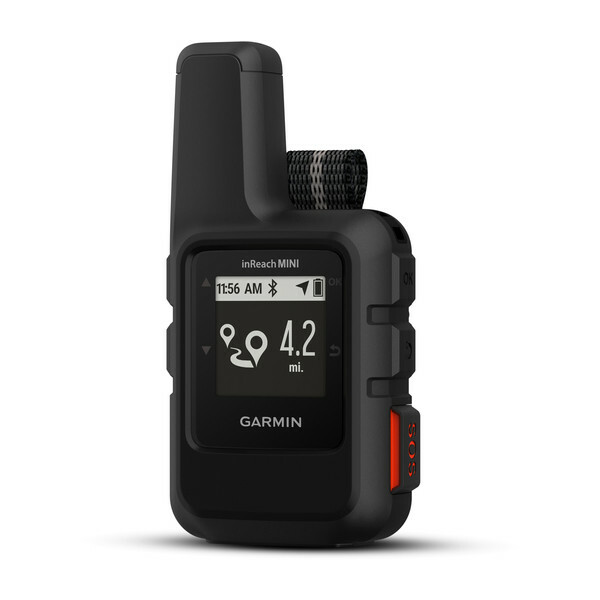 Garmin inReach Mini is a lightweight and compact satellite communicator that uses 100% global iridium satellite network is used to enable you to send and receive text messages even when out of range of the mobile phone network using the GPS signal (subscription required). You can also pair the Garmin inReach Mini with a smartphone or tablet or compatible Garmin outoor device to access and navigate with topographic maps and other advanced features. 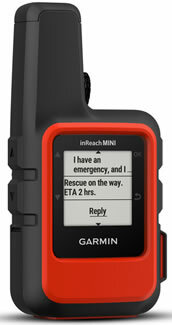 The Garmin inReach Mini is available in the colours black or orange. The Garmin inReach Mini has a battery life of 90 hours. Please note: a satellite subscription is required to enable the features of the inReach Mini. 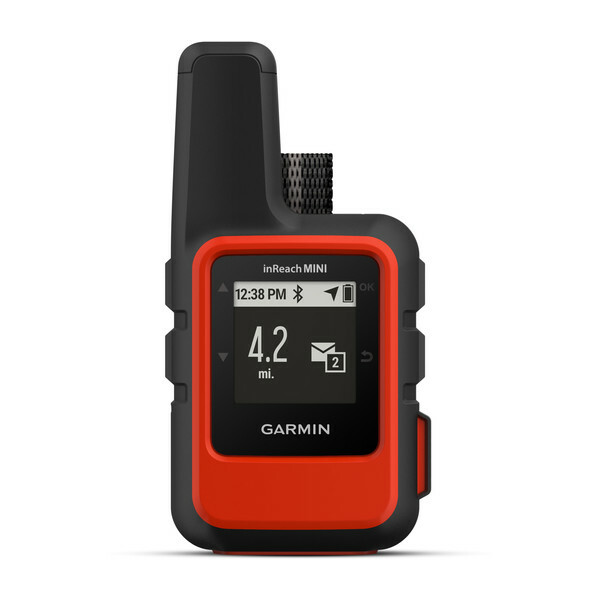 The Garmin inReach Mini is a small, durable, rugged handheld GPS navigation device that is impact resistant and water resistant IPX7. Not only is it GPS it also uses 100% global iridium satellite network (satellite subscription required) to enable text messaging to mobile phones without the need for mobile network coverage using GPS connection. 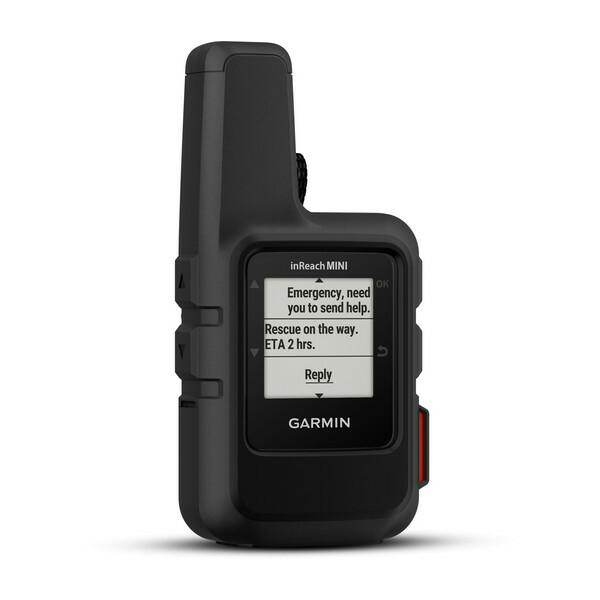 The Garmin inReach Mini is ideal for use on land and water. Internal, rechargeable lithium battery (Up to 90 hours at 10-minute tracking (default); up to 35 hours at 10-minute tracking with 1-second logging; up to 24 days at 30-minute tracking power save mode; and up to 1 year when powered off). Recharge via the standard microUSB power cable or optional in-vehicle 12 V charger. 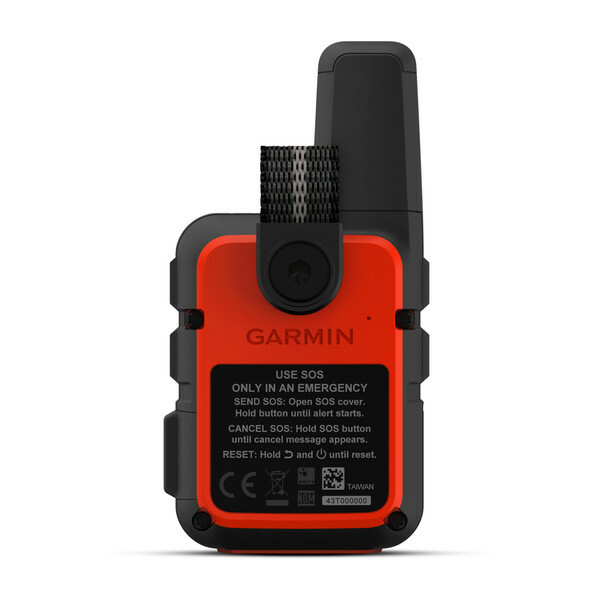 Do you have a question about the Garmin inReach Mini or other handheld GPS related question that's not been answered on this webpage? Please see our handheld and Outdoor GPS FAQs page for questions from other customers.Plus if the answer to your question isn't featured, use the online form to ask us for the answer. Alternatively please telephone 01733 777623 Monday to Friday (9:30am-5:00pm) to speak to one of our sales team. For further information online please see the Garmin inReach comparison table. Looking for accessories to use with the Garmin inReach Mini satellite communicator? We sell a vast selection of genuine parts and spares including Garmin inReach Mini retractable lanyard, backpack tether, bike mount, suction cup mount and portable dashboard mount. 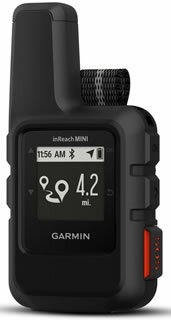 Do you have a question about the Garmin inReach Mini? Submit your question via our contact page.